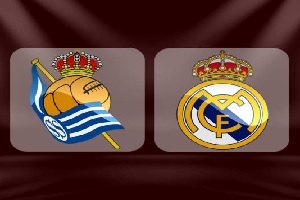 Real Sociedad will face Real Madrid in the first match for both teams this season. The game will be played on Sunday evening. Sociedad are an average team, they finished in 9th position last season. Also their last four friendly games are not impressive - 3 draws and a loss. It is not the easiest game for Zinedine Zidane to start his first full season in charge of Real Madrid. Cristiano Ronaldo is still injured, while Luka Modric is suspended. Still Los Blancos are incredible team. Their substitutes are just as good as their main players and also much more motivated to prove themselves. Barcelona has already won their first game with 6-2 and I think that the other colossus in Spain will do the same with ease.